Should Hugh Jackman reprise the role of Wolverine in the MCU? Who is the most scariest? Why in the World did he have to Die ? Will Wolverine Cast in upcoming Marvel the Avengers Movie? 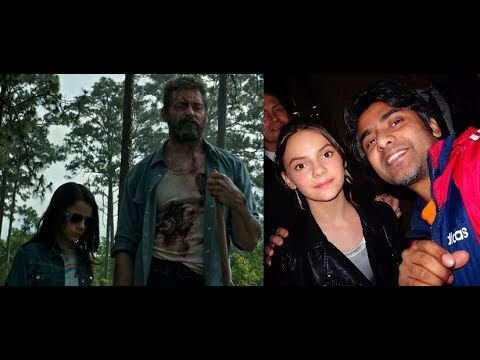 CASTING X-MEN SUPERFANS IN LA AREA! Do any of u know who james howlett is? I know I just want to test my fellow fans. In this artikel I will be talking about all things Wolverine and I will be using only facts and not rumors. Now that I got that out of the way, lets get started! Fact #1 Wolverine is, in fact, over 100 years old, but his healing factor keeps him looking like he did in his early forties! Fact#2 Wolverine's real name is really James Howlett. "Logan" is just an alias he used when he ran from home. Fact#3 Wolverine's first appearence was in "The Incredible Hulk #180"
Wolverine is pretty well known for his dry sense of humor, do i decided to lijst some of his best quotes in this very artikel that u are reading. 1. "I'm the best there is at what I do, and what i do best isn't very nice"
2. "Just think of how i could've turned out. I might've wound up a pastry chef!" 3. "I'm the best there is at what i do, but what i do best ain't shoppin'!". 4. "Mine'll grow back, yours on the other hand....."
5. Little girl : "Are u Spiderman?" Wolverine: "No, sweetie. Spiderman's a sissy!". From the dag I saw the movie the Wolverine, I dreamed about Logan and Victor because of the problems that I went through that made me feel like a vengeful person. I felt violent like Victor, wanting to get even with the people that hurt me. And maybe to the extent of being physical. But I just wanted to prove that there is meer to films then most people think there is. We can learn lessons from them, if u just take a seconde to ponder on it. What a way to come back from the dead. As a major plot point! *annoying sing-song voice* "Guess who's baaaaaack?!" A touching tribute to the creator of our beloved Wolverine. a poll was toegevoegd: Should Hugh Jackman reprise the role of Wolverine in the MCU? Which one of Wolverine's foes wants to take his Adamantium? 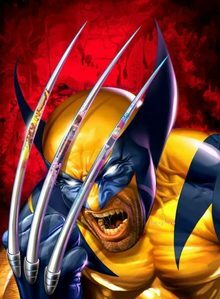 do u think the adamantium claws will return?